- Martelli (1878) quoted in Dini and Dini, Giovanni Boldini: 1842-1931. Catalogo ragionato, (1996), 184. Outside of his native Italy, Giovanni Boldini is best known as a portraitist for the upper echelons of French Belle Époque society. With his iconic webs of vibrant, frothing brushstrokes, he depicted dazzling and fashionable clientele that included Consuelo Vanderbilt, the aesthete- dandy Count Robert de Montesquiou, dancer Cléo de Mérode, and painter James Abbott McNeill Whistler. Born in Ferrara in 1842, he initially attended the Civico Ateneo di Palazzo dei Diamanti in his native city, and would go on to absorb a remarkable range of influences, experimenting with a variety of styles and genres. From costume pieces to landscapes, portraits to city scenes, his oeuvre demonstrates the vitality and richness of the art world and the swiftly modernizing environment of late-nineteenth century Paris. He spent formative years of his artistic development in Florence, working alongside the group of young, experimental artists known as Macchiaioli who employed broad swaths of color (macchia) in an energetic manner that defied norms of modulated finish. Boldini carried this interest in expressive brushwork with him to Paris, arriving just three years before the first exhibition of the Impressionists, whose manner of recording modern life through painterly effect and rapid brushwork had a lasting effect on him. Though he never exhibited with the Impressionists and did not share their critical, avant-garde ambitions, he was immersed in the artistic milieu of 1870s and 1880s Paris, maintaining a close friendship with Edgar Degas and convening in the artistic community of Montmartre. While some of Boldini’s early works from this period adopt historical subjects, many take up subject matter of the street, the café, laundresses, and the suburban landscape that demonstrate an Impressionist-like interest in contemporary life and bourgeois leisure. 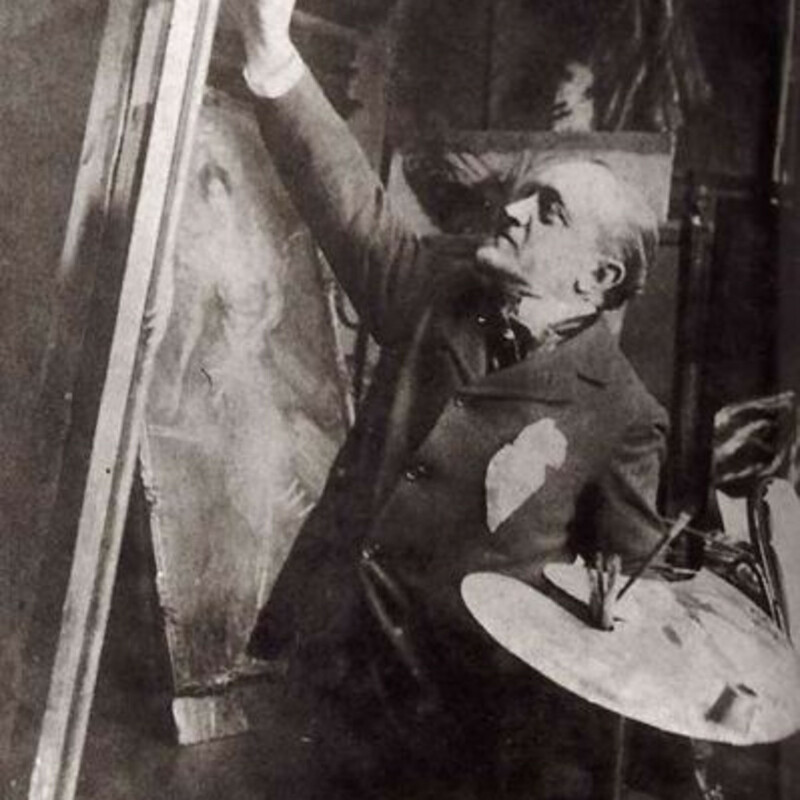 Unlike the Impressionists however, Boldini exhibited comparatively little, doing so only for the official Salon and for commercial displays mounted by his Parisian dealer, Adolphe Goupil. As Huysmans suggested, he was also widely associated with the work of academic painters such as Ernest Meissonier’s detailed, historical genre scenes and the Orientalist subjects of the Spanish artist, Mariano Fortuny. His art became popular with collectors on both sides of the Atlantic and by the final years of the century he had achieved commercial success for his lively, energetic depictions of the glittering world of the Belle Époque. While this commercial popularity with the fashionable elite has in the past led some critics to regard Boldini as a rather superficial artist, recent scholarship has nuanced this view to appreciate the range of his stylistic references and to consider his dazzling painterly effects as indicative of the dizzying dynamism of modern society in the later nineteenth century. J.-K. Huysmans, “Le Salon de 1879,” in Huysmans (1883), 50.